Want to be notified of new releases in mrmonday/CodeConverter? Pull request Compare This branch is 52 commits behind icsharpcode:master. 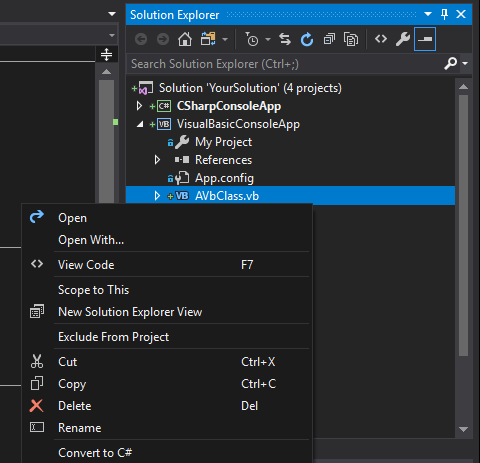 Adds context menu items to convert projects/files between VB.NET and C#. See the wiki documentation for help using it. Completely free and open source GitHub project. Let us know what needs improving. If you want to get involved in writing the code yourself, even better! We've already had code contributions from several first time GitHub contributors, so don't be shy! See Contributing.md for more info. 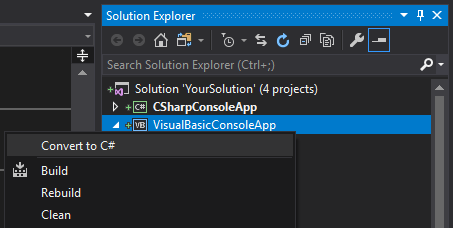 Check out the CodeConversion class in the VSIX project. Or check out the ConverterController for a more web-focused API. This was previously part of Refactoring Essentials. 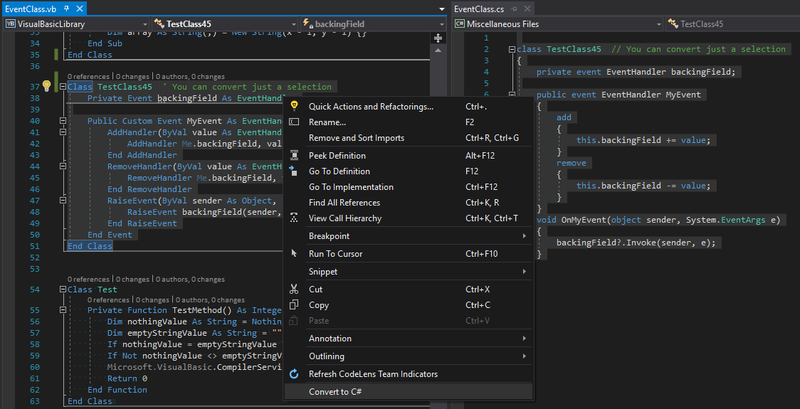 However, because of the way analyzers are tied to Visual Studio and Roslyn versions made it super-hard to co-evolve the code converter bits. That is why we teased the converters out and they are now a self-contained entity.